Would I need it for a Colnago C60? Or is it a "nice to have" product? Who has experience with this part? No, it's not necessary with this frame IMO. I have EPS on several Colnagos (including C60) and never required such a part. Anything that would stiffen the mounting of the derailer is not a bad idea. Sadly, it does not fit all frames. I know it did not fit my S-Works Tarmac. As far as the braze-on tab and the seat tube junction/shape goes... no, you won't improve on the stiffness there. That tab is solid steel, as opposed to anything like aluminum, and the shape of the tube it is riveted to is such that you're not getting any flex at all at that point. The mechanical version (S2) has a little arm on it that is for that purpose and I've just removed it from the derailleur entirely. But I'm curious about the EPS "stiffener". I haven't used one and honestly didn't even know one existed but have often thought "why doesn't EPS have something along those lines, as the force it exerts could probably warrant it". Can you tell me if it's supposed to stiffen up the frame/brazeon mount itself or does it stiffen up the actiion of the EPS derailleur independently of the frame? If it's the latter, then it can't hurt. But if if's to stiffen up the junction point on a C60, then no, not required. And then there's the "fit' of the thing, as Butcher said. I've noticed the same thing about the mechanical "stiffener" not fitting all frames. It's not that great a design. Shimano's support screw seems to do a better job in more situations. 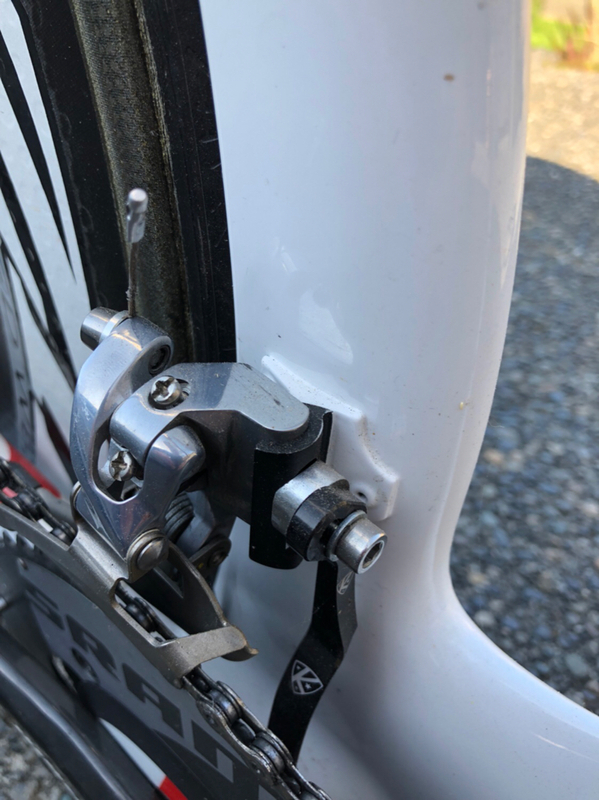 It is stated in the Campy manual that "in case of particularly flexible brazed on mount, use the front derailleur in the version that includes the “Secure Shifting System” (Fig. 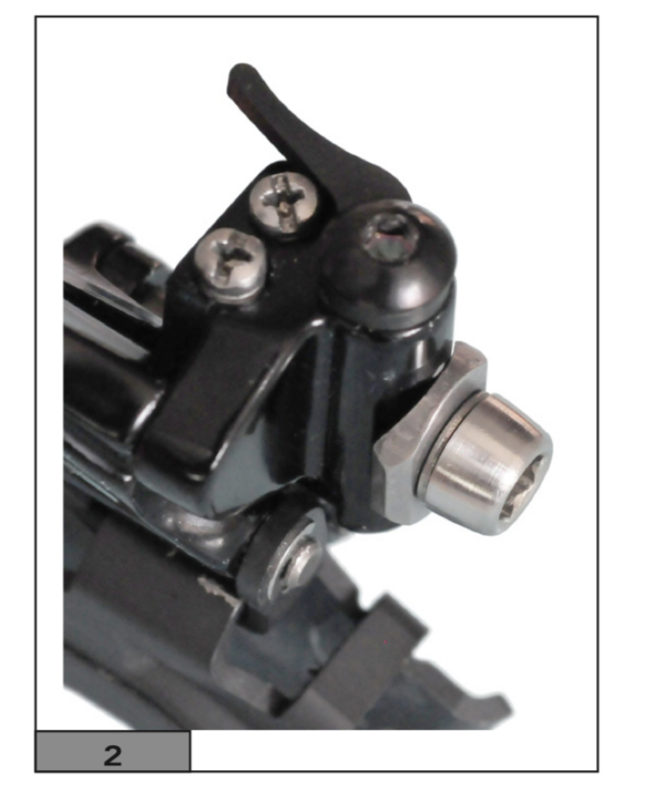 2), a system that provides an additional component that increases the stiffness of the front derailleur - frame set." That's the S2 front derailleur for mechanical drive trains, not EPS. I'm very familiar with the S2 above. They used to provide the front derailleur without it, and then had the S2 version, with it. The version without it is the cleaner looking version. I think they just do the S2 version now, and I just remove the little arm completely. Certainly not needed on a C60 and doesn't fit very well anyway. It was the EPS stiffener you were originally asking about however, and that is completely differernt than the S2 mechanical front defrailleur. I've never even seen one for EPS, and the only documentation I could ever find on it is in the Accessories section and it's only in Italian. It's essentially a hinge that can be locked, that screws to the back of the FD. Filling routine is, unlock, screw to FD, fit FD and correctly adjust height / angle, open hinge as far as it will go, lock. Very similar in action to the wedges supplied for a similar purpose by SRAM but, of course, adjustable. Generally S2 or EPS Stiffness Increaser are not required but some Cervelo, some Storck, some Look and one or two other frames can benefit. None of these systems compensate for a flimsy seat tube wall, though, or for poorly rivetted or otherwise attached FD mounts. @Cal - I will give an answer to your email this week, my friend - super busy. When I first installed the stiffener there was a noticeable difference on how the deraileur did not flex. It seems to support the rear of the derailleur so on the upshift it will not flex inward. It could be a placebo, but I swear it shifted faster. Then the bike got stolen and now the stiffener will not fit the new frame. Again, as long as it fits, I cannot imagine how it would not benefit, no matter how strong the hanger is. Wear your magnifying glasses since it's a very tiny part with tiny screws that could get lost. On which frame(s) did you install it succesfully and not? Yes, I have experience with it. I also have a C60 with EPS. No, you don't need it. But, you do need a chain catcher. See how flat that area is. It’s easy to flex simply because of its shape. I’d use the stiffener in this case with EPS. but for your C60, completely unnecessary. Butcher... I doubt what you feel is “placebo”. It will help if there’s any flex at all for sure simply by providing more surface area of support. But it is sometimes hit and miss as to just how well these things might fit a particular frame. For instance, with the mechanical S2 front derailleur I couldn’t use the S2 arm on my Koppenberg even if I wanted to. Won’t even touch where it needs to. Luckily that junction is so stiff that it is unnecessary, like the C60. All of my bikes were SW Tarmacs. The original Tarmac it fit, SL3, it did not fit. I cannot recall why but it would not fit. I will, at some point, make a support but sadly, work has taken all my riding time. The stiffener seems to support the back fo the derailleur against the frame. So no matter how stiff the bracket is, it adds additional support. Front derailleur clamp needed --> 28.6. Shimano R8000 Front derailleur shifting Q?